I often discuss how helpful credit card sign-up bonuses and spending can be for earning award travel, but some readers are intimidated by the idea of opening new accounts. To help you get started, TPG Senior Points & Miles Correspondent Nick Ewen demonstrates how much a single card can offer you in travel rewards. Award travel can be a daunting hobby to take up, especially when it comes to credit cards. If you don’t travel regularly for work, your everyday spending habits play a huge role in earning (and then redeeming) points and miles. However, with so many options, you may not know where to start. In this post, I’ll continue my series looking at how easy it is to earn rewards by opening and using a single card for one year. In previous posts, I’ve looked at the Chase Sapphire Preferred Card, the Citi Hilton HHonors Reserve Card, the Chase Ink Plus Business Card, the Citi Premier Card, the Wyndham Rewards Visa Card, the Marriott Rewards Premier Card, the SPG American Express, the Southwest Premier Card and the Amex EveryDay Preferred Card. Today, I’ll continue the series with another card I recently added to my wallet: the Alaska Airlines Visa Signature Card from Bank of America. 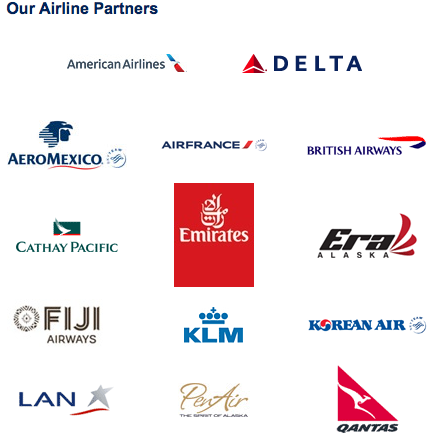 Though Alaska Airlines doesn’t belong to an alliance, you still have many partners on which you can redeem your Mileage Plan miles. The card is currently offering a sign-up bonus of 25,000 miles upon approval without any purchase or minimum spending required. This bonus is worth $500 based on TPG’s latest valuations, but can be even more valuable by taking advantage of the program’s terrific award redemptions. The card also offers 3 miles per dollar spent on Alaska tickets and vacation packages, but even the standard earning rate (1 mile per dollar) represents a solid 2% return on spending. One of my favorite benefits on the card is the yearly companion certificate that allows you to bring a friend or family member on a paid trip for just $99 (plus taxes and fees). Mine posted to my Mileage Plan account just a week after being approved (at the same time as my sign-up bonus), and I was able to save almost $500 on a trip to the West Coast for next May and June. The card does come with a $75 annual fee, which isn’t waived the first year. Note: You may be able to get a $100 statement credit plus the 25,000-mile sign-up bonus when making a reservation on AlaskaAir.com. Just look for the application link on the checkout page. If you spend more than the national average, you’ll earn even more than what I’ve outlined here. Image courtesy of Shutterstock. So, if you open the Alaska Visa, earn the sign-up bonus and use the card exclusively for the first year, where does that leave you? Obviously, the answer depends on your spending patterns, so for this analysis I used consumer-expenditure data from the Bureau of Labor Statistics for 2013 and 2014 to estimate what an “average” household would spend (and thus earn) on the Alaska Visa card in one year. 60% of “Housing” expenditures cover mortgages or rent, and thus can’t be paid with a credit card (unless you’re willing to pay fees by using a service like Venmo or ChargeSmart). “Transportation” expenditures are split evenly between car payments (which typically can’t be paid with a credit card), gasoline and other transportation costs (parking, tolls, train/subway/bus tickets, etc.). All “Healthcare” and “Other” expenditures can be paid with a credit card. $500 of the “All other expenditures” category is spent on tickets with Alaska. As you can see, the “average” American consumer would earn 56,447 Alaska miles in the first year (plus the companion certificate). Not too shabby! Of course, earning points is one thing, but knowing how to redeem them for maximum value is a completely different story. Fortunately, the Alaska Mileage Plan program has a variety of valuable redemptions, and the vast majority of them can be booked online. Just remember that you can only have one partner flight per award ticket (in addition to connecting flights on Alaska) and will pay at least $12.50 per person each way for award tickets on partner airlines. One of the best uses of Alaska miles is on its Hong Kong-based partner Cathay Pacific. The carrier is well-known for its incredible first-class cabins, but one of the daily flights from New York-JFK makes a stop in Vancouver on its way to Hong Kong. This round-trip flight costs just 50,000 Mileage Plan miles, but unfortunately it has to be booked over the phone (since Cathay Pacific is one of two partners that doesn’t show up on Alaska’s website). 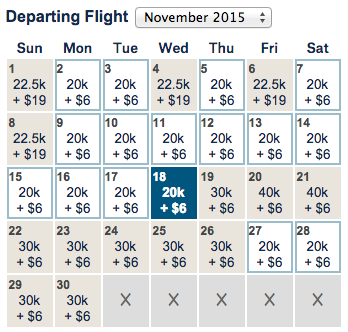 Availability isn’t fantastic, but since the carrier uses a Boeing 777 on the route, there are lots of seats to fill. Inventory tends to open up in the days and weeks leading up to departure, but I see many dates in the future with availability as well. 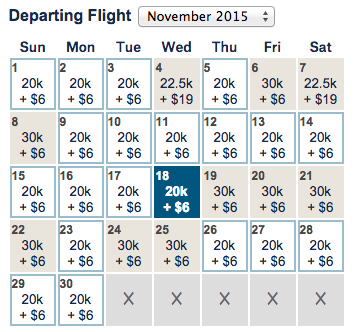 Alaska has relatively generous routing rules and allows you to have a stopover on international one-way award tickets. This means that you could book something like Los Angeles to Bali with a stopover in Hong Kong. Qantas is just one Alaska partner that allows redemptions on flights to Australia and New Zealand. 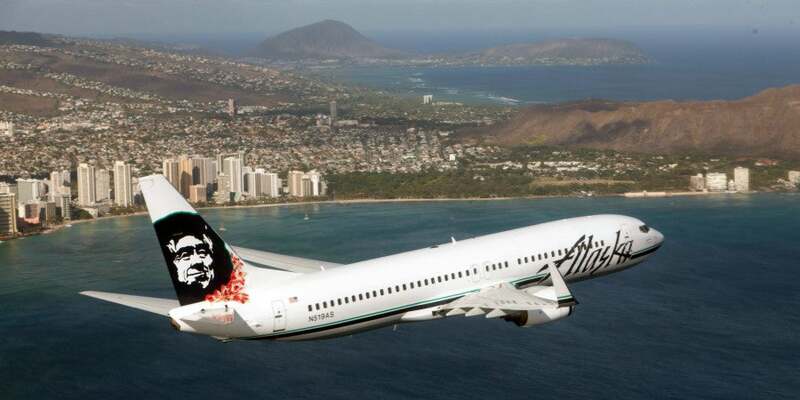 You have many options for flying to Hawaii on an award ticket with Alaska Airlines. If a trip to the Hawaiian islands is in your future, Alaska is one of the better options for redeeming miles to get there. The airline has a very extensive route network from various West Coast gateways (including its hubs in Seattle and Portland, along with more obscure departure airports like Bellingham, WA and Sacramento, CA) to the four main airports in Hawaii: Honolulu, Kahului (Maui), Lihue (Kauai) and Kona (Hawaii). 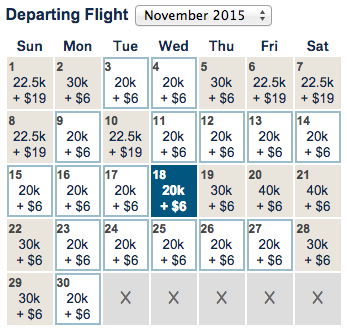 Most importantly, however, a round-trip ticket starts at just 40,000 miles and is readily available at that level. In all three examples, more than half the month is still available at the lowest mileage amount, and with the first year’s haul of Alaska miles, you’ll have enough for a round-trip ticket (plus almost enough for another one-way). Remember too that you could always redeem miles for one ticket and use the companion fare from the card to purchase two more at a steep discount, giving you an easy (and affordable) way for a family of three to escape to paradise, all courtesy of a single credit card. The Alaska Airlines Visa Signature Card offers a solid sign-up bonus, along with some other intriguing benefits (like the companion ticket). By opening the card and using it for a year, you can earn a solid number of Mileage Plan points and unlock some terrific redemptions around the world. The calculation assumes that you don’t make any purchases through an online shopping portal. The Mileage Plan Shopping site allows you to earn additional miles at more than 800 retailers when you shop online. The calculation assumes that you only open one card. Other travel rewards credit cards with terrific sign-up bonuses (like the Citi Premier Card or the Chase Sapphire Preferred Card) can be opened and used alongside the Alaska Visa for even more earning potential. These items notwithstanding, I hope I’ve illustrated how one card (especially in the first year) can open up a wealth of redemption possibilities. How would you redeem one year of points from the Alaska Visa card?